Foreign body contamination of foods can be a safety or quality issue, or both. Regardless, if a food is contaminated by a foreign body, the repercussions for the food business can be expensive and damaging. To help reduce this risk Vikan invented UST brushware. This blog post takes you through how, as part of the development and validation of its innovative UST technology, Vikan investigated the bristle strength fixation in different food industry brushware. It also takes you through how the results generated have been used, and explains how UST technology helps minimise bristle loss. Determination of the force required to pull a bristle from different types of food industry brushware. whether it was the first or subsequent bristle to be pulled from a bundle. The results indicated that the force required to pull a bristle from a standard drilled and stapled brush, or a resin set, drilled and stapled brush is highly variable, because of the factors given above (individually or in combination). For example, the first bristle that is pulled from a drilled and stapled brush bundle will be tightly fixed by the metal staple that holds the bristles in place. Consequently, the amount of force required to pull this first bristle from the bundle is high. However, once one bristle is pulled from a bundle, a gap is created that causes the remaining bristles in that bundle to be looser. The more bristles that are pulled out of the bundle, the looser the remaining bristles get, and the less force is required to pull them out , thus increasing the likelihood of bristle loss. The bristle retention technology used in the construction of UST brushware eliminates the need for staples and resin to fix the bristles. Their fully moulded construction ensures that every bristle is individually fixed, providing a consistently high fixation strength for every bristle in the brush head, regardless of whether other bristles have already been dislodged, or the position in the bristle bundle. This, in turn, minimises bristle loss and reduces the risk of product contamination. Bristle thickness will still influence the point at which bristles break for all types of brushware, i.e. the thinner the bristle is the less force is required to break it. We measured the force required to pull the bristles from a UST brush bundle and a standard drilled and stapled (D&S) brush bundle and then calculated the average fixation strength. Based on individual 60 bristle pulls for each type of brush, the average bristle fixation strength for the UST brush was 5.34 N compared to 3.53 N for the standard drilled & stapled brush. An example of the data we obtained and how we calculated the average is shown below. Meaning that (on average) it takes 52% more force to dislodge a UST bristles than one from a standard drilled and stapled brush. We also recorded the range of fixation strengths obtained (Variability). We can use this data to calculate the ‘Standard Deviation’ of the data. Standard Deviation is a mathematical way of quantifying the variability of the results within each set of result. Less variable results have a smaller Standard Deviation. The Standard Deviation can be used in the following way to demonstrate the variability of the results. The average bristle fixation strength in a UST brush = 5.34. 68% of the bristle fixation results obtained for the UST brush was in the range between a) 5.34 (the average) + 0.57 (the Standard Deviation), and b) 5.34 – 0.57, i.e. 5.91 and 4.77. 95% of the results we obtained were in the range between a) 5.34 (the average) + (2 x 0.57) (the Standard Deviation), and b) 5.34 – (2 x 0.57), i.e. 6.48 and 4.2. 99.7% of the results we obtained were in the range between a) 5.34 (the average) + (3 x 0.57) (the Standard Deviation), and b) 5.34 – (3 x 0.57), i.e. 7.05 and 3.63. Etc. Using the Standard Deviations determined for the UST brushware and the standard drilled and stapled brushware we can calculate the ‘Percentage Variance’ for each set of results and this allows us to compare them. Percentage Variance is calculated by dividing 100 by the average, and multiplying the result by the standard deviation. So you can say that ‘The consistency of bristle fixation is more than 3 times better in UST brushes than in standard drilled and stapled brushes’. The consistency of bristle fixation is >3 times better in UST brushes than in drilled and stapled brushes. 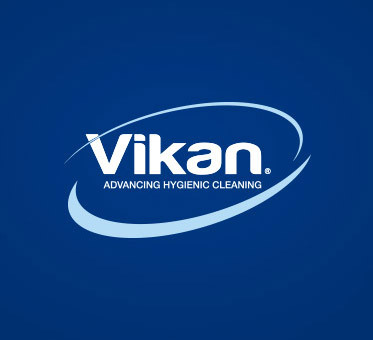 If you’d like to find out more about Vikans innovation UST brushware and how it can help protect your business please visit our website www.ust.vikan.com.